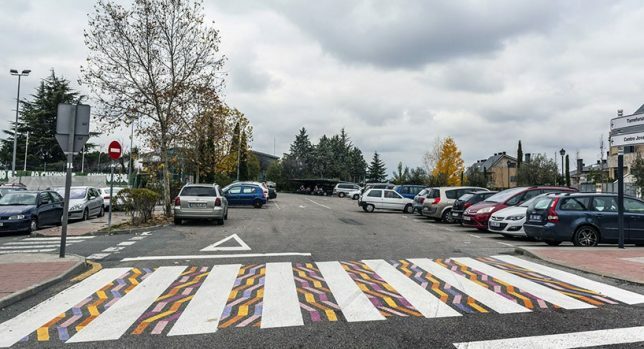 Part art project and part urban safety experiment, this series of Funnycross installations in Madrid have been positioned outside a cross section of city schools. 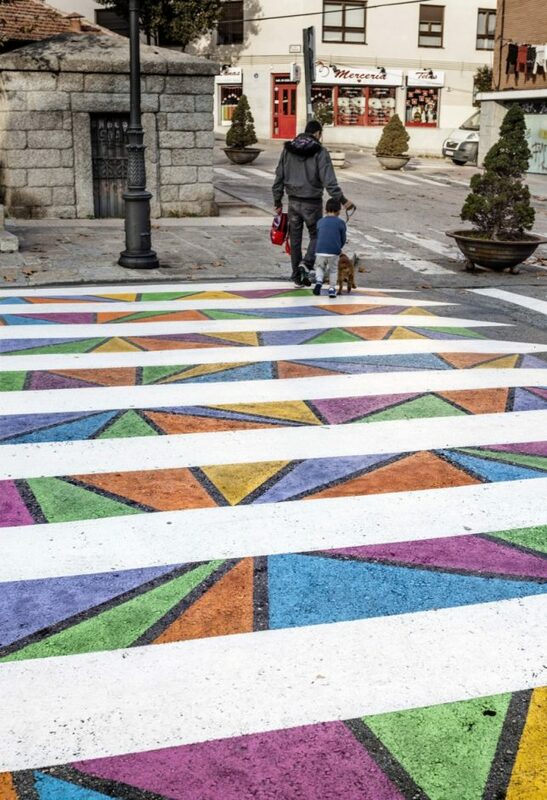 Designed by Bulgarian artist Christo Guelov (images by Rafael Perez Martinez, the creative crossings weave diamonds, circles and other shapes into the visual language of existing horizontal wide lines. 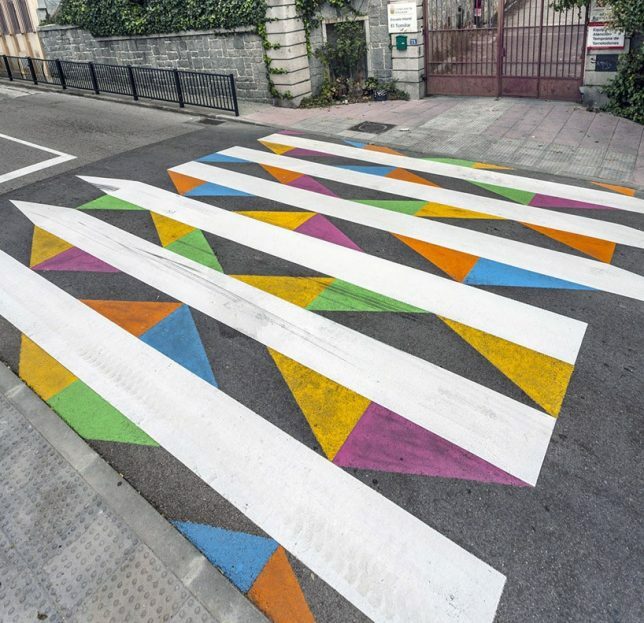 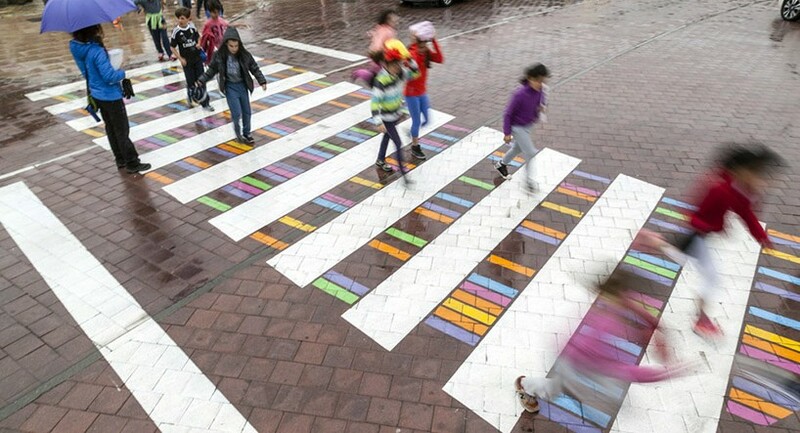 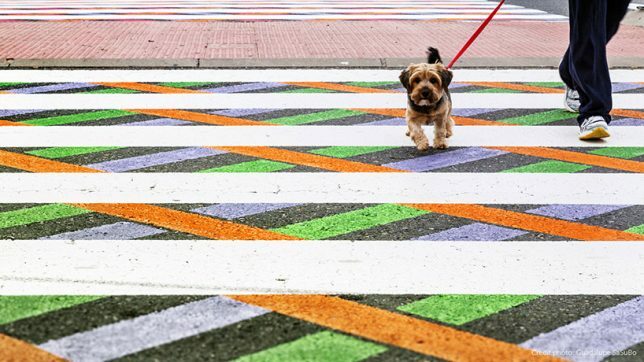 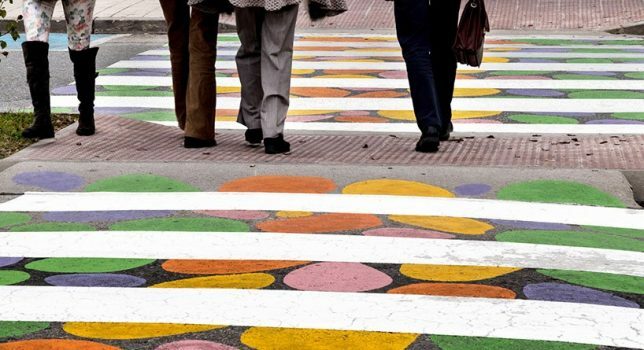 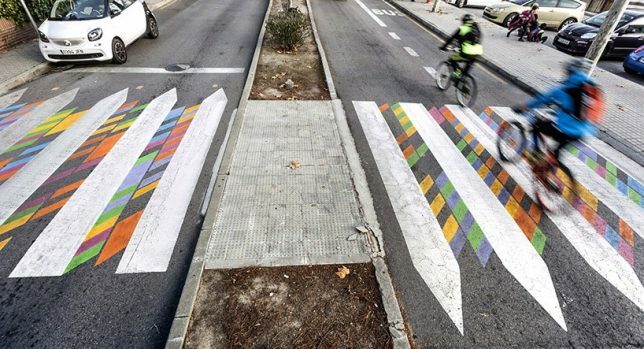 The brightly-colored interventions are designed to enliven the streets beyond conventional sign-posting while their eye-catching patterns are aimed at making the crossing points more visible. 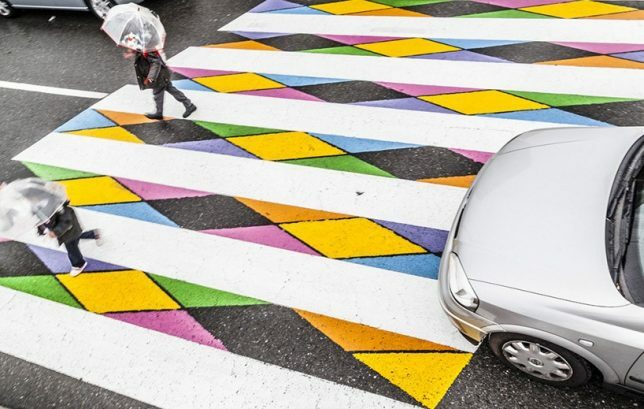 The artist also aims to raise larger questions about the role of color in cities, where infrastructure is often monochromatic, systematic and ultimately dull.